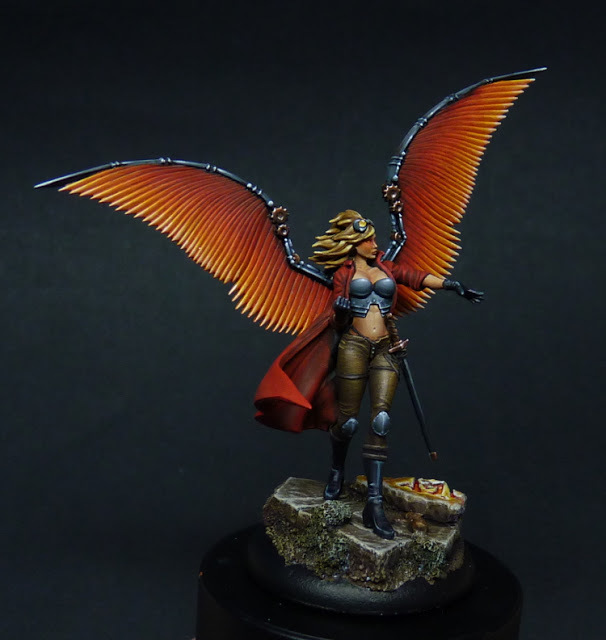 Today I want to share my latest finished miniature. 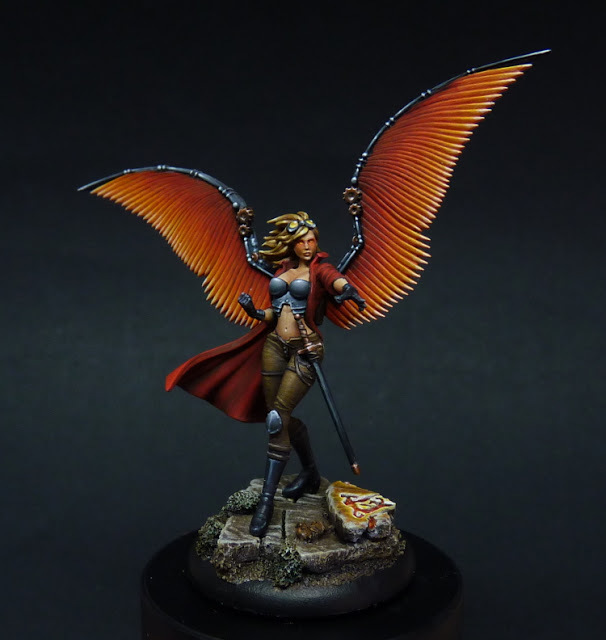 This is Kaeris from Wyrd miniatures, 32mm. 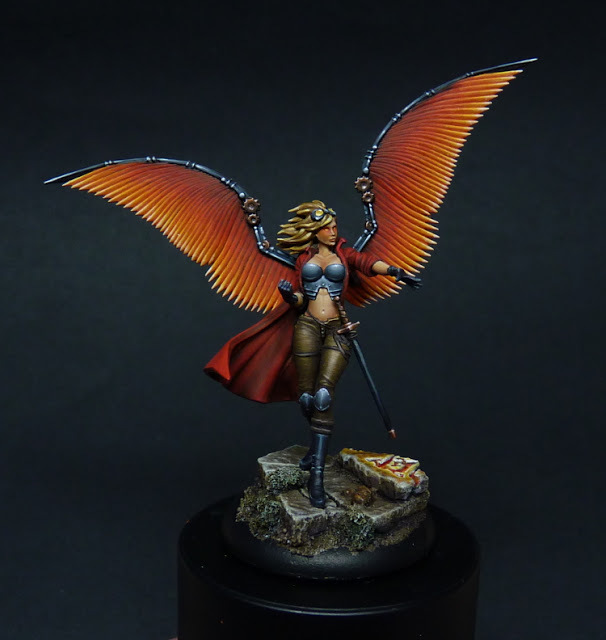 She was a lot of fun to paint, but some parts were also very tricky. 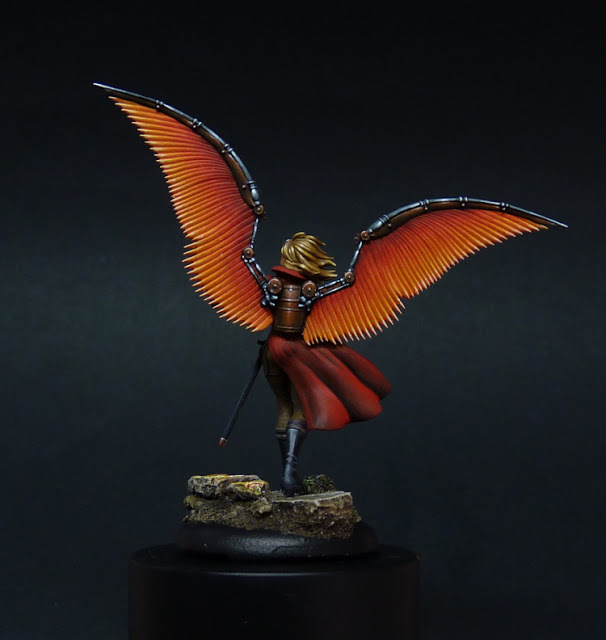 I spent a lot of time on the wings, trying to get them how I like. In the end the picture washes away some of the shadows, but I am very happy with how she turned out. As a small side note, you may have noticed that I am sharing fewer Work in Progress pictures on the blog. Honestly, this is a problem of me being lazy ;), I’m sorry! If you want to keep updated, please join my Facebook page MaGie Miniature Painting.